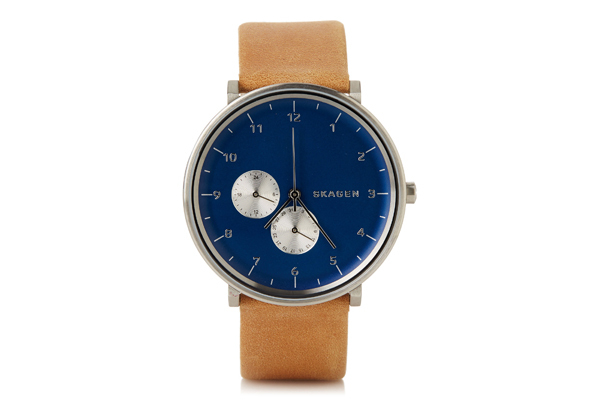 Owing its name to a Danish seaside village, Skagen designs jewelry, timepieces, and other accessories. The smooth, natural leather of the Hald watch’s band and deep blue of its dial are both inspired by nature. Sold $200, it features a metallic 3-hand face with date indicator, inside a 40 mm metal case resistant to water contact.